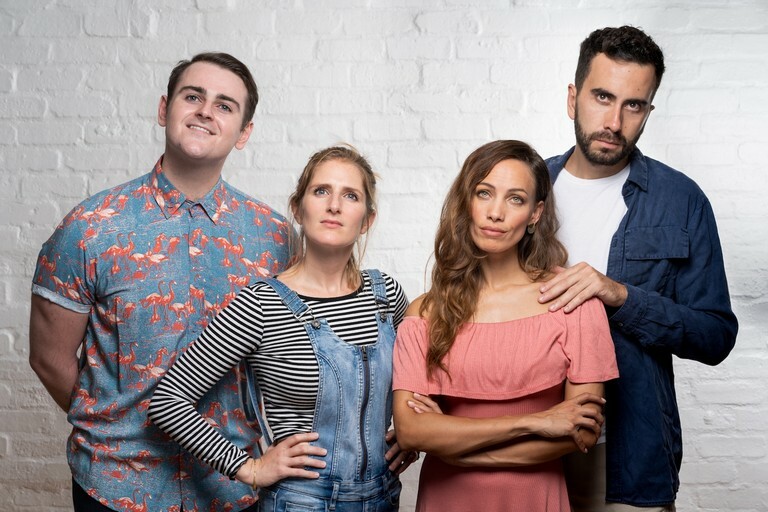 Following the success of both off-Broadway and international premiers, Square Pegged Productions is bringing Adam Gwon’s ‘Ordinary Days’ musical to Cape Town for the first time. The show will run at the Masambe Baxter Theatre from February 13 to 23, and Theatre Arts Admin Collective from February to March 3. This refreshingly honest and humorous musical should touch hearts with its storytelling and close look at how we are all intrinsically connected. Set in New York City, the story follows the lives of four young characters, Claire, Jason, Deb and Warren as they navigate life in search of love, success and happiness. Leading the Production as Director is Byron Bure (‘RENT’, ‘The Regulars’, ‘Dying Light’, ‘Donker Lig’, ‘Doctor Goldstein’s Man’). The cast include Kirsten Murphy Rossiter (‘Grease’, ‘Jersey Boys’, ‘West Side Story’), Dean De Klerk (‘RENT’), Josie Piers (‘We Will Rock You’, ‘Hairspray’) and Emile Hager (‘Peter Pan’). The musical addresses that time in young peoples’ lives (late 20s, early 30s) when they are often faced with big decisions to make, and it’s in these times that they can find comfort and support in connecting with those around them. “‘Ordinary Days’ is one of my favourite musicals of all time. The show takes people on an emotional journey, and one can’t help but be inspired,” says Bure. ‘Ordinary Days’ is sung acoustically, with the support of musical director, Kurt Haupt (‘Phantom Of The Opera’, ‘Chicago’, ‘Beauty And The Beast’, ‘Grease’, UCT Choir) on piano. This is Square Pegged Productions’ debut show. As a new production company in Cape Town, they aim to bring fresh and exciting work to the South African theatre scene. “We are excited to introduce South African audiences to international musical theatre hits, which are not as well-known here yet,” says Bure. * Tickets are R120 and are available via www.webtickets.co.za.